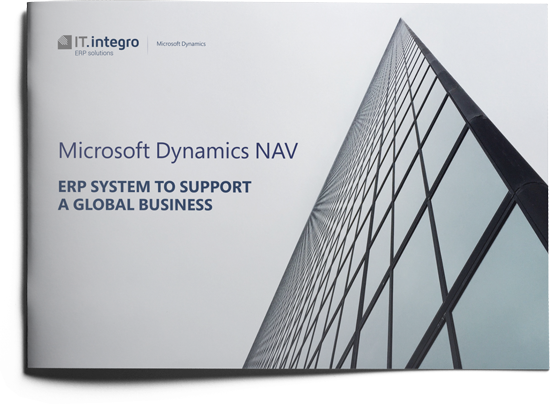 The international implementation of Microsoft Dynamics NAV ERP should involve the standardization of the three core areas including business process, master data and functionality. The delivery of such a project enables the complete consolidation of a multi-subsidiary company. In order to implement identical business processes and functionalities and ensure data consistency in all subsidiaries, an ERP template is needed, namely the Global Template or Core. The template is developed at the very beginning of each global project* and implemented in company subsidiaries when the group ERP solution is rolled out in all group subsidiaries. 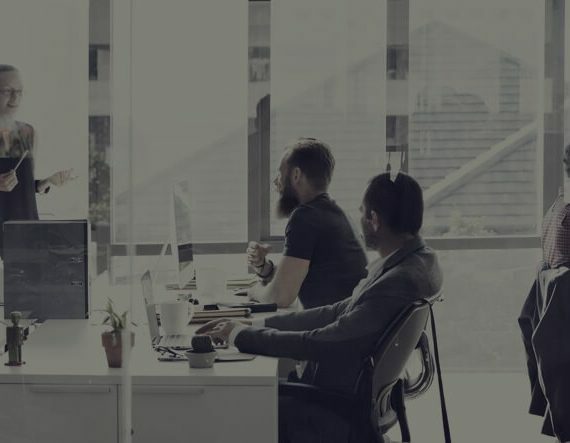 The first step of work performed jointly by our customers and the IT.integro project team is to identify a list of processes and divide them into global and local ones. At the following stage, the same procedure is applied to master data. It has to be distinguished between data to be managed centrally and data maintained individually by specific countries. With such a comprehensive approach, we develop a Global Template (System Core) as a uniform set of processes, data and functionalities. Global database template – enables functionality standardization. 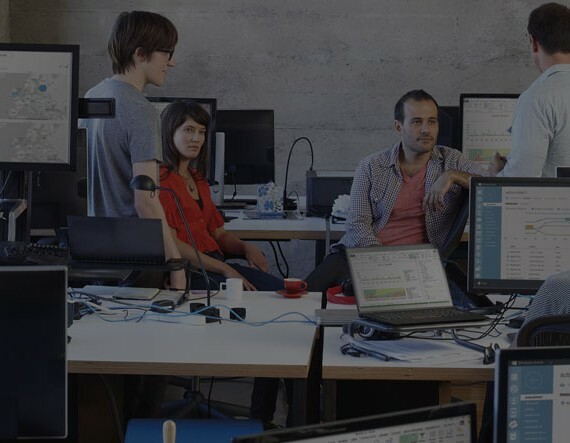 Setup – enables data standardization. Documentation – enables process standardization within the whole international organization. 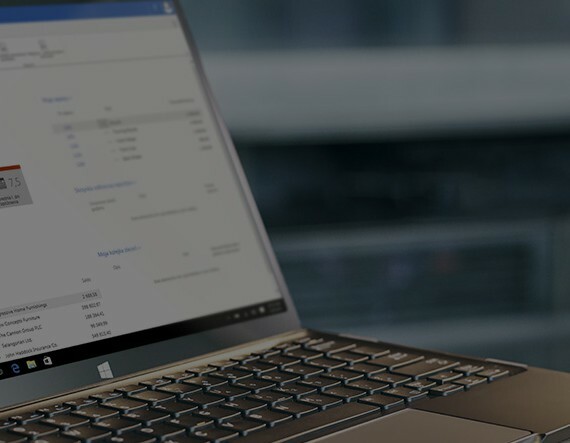 Below, you will find a detailed description of the three primary elements of the Global Template (System Core) for ERP Microsoft Dynamics NAV. We aim at applying the assumptions we have developed in all our international projects. 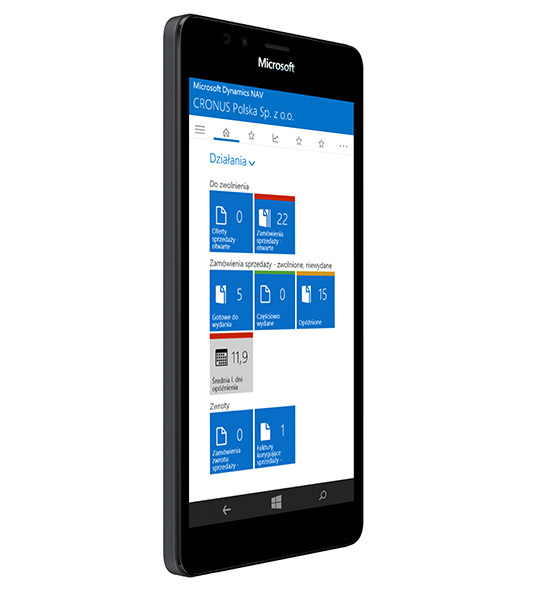 Microsoft Dynamics NAV 2013 (W1) – the international, standard system version. This version of the Navision system does not provide local functionalities. Such functionalities are added during the implementation of the group ERP system in subsidiaries i.e. global roll-out. Add-ons – that are to be used by an international company. IT.integro’s Global Package – a package of solutions that enable the group implementation of the ERP system, including: MDMS, group EDI, Translation management – a solution that supports multi-language printout management (it facilitates the implementation of standardized document layouts within the group and diminishes the problem of printout text management). The package, designed by IT.integro, comprises out-of-the box solutions that have been tested in international companies and can be easily customized to the client’s requirements. 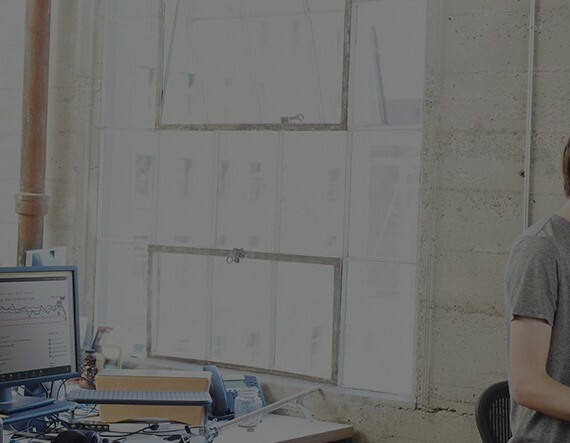 With these solutions, it is possible to create a backbone of the global ERP solution even before a detailed gap-fit analysis of the client’s needs is started. Customizations of the standard system version i.e. functionality built based on clients requirements. Customizations fulfill specific requirements that are not supported by the standard system version. Report environment (e. g. BI, Jet Reports). Migration tools (e.g. the upgrade toolkit for system upgrades or Excel package set) – prepared for specific client’s needs. It is noteworthy that the global database template created within the Global Template (System Core) is an empty database and is not used for posting. It will be used as a template to develop other local databases which in turn are used as production databases. 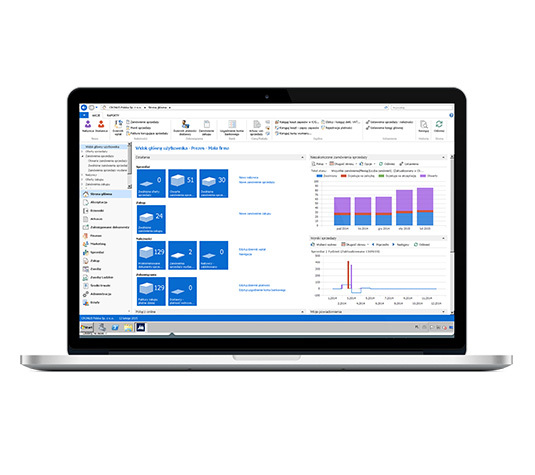 Levels of access to the global Microsoft Dynamics NAV database are also an important issue, because all databases created based on this global database template inherit the functionality and functionality setup. Therefore, change consequences are significant. The change management issue has been discussed in the article on Change Management. Chart of accounts – We have developed a standardized chart of accounts that can be used as a base when preparing a chart of accounts for each international company. For one of our customers, we have even implemented this standard chart of accounts without any modifications. However, the standardized chart of accounts enables limited local customizations in most critical areas such as bank accounts. 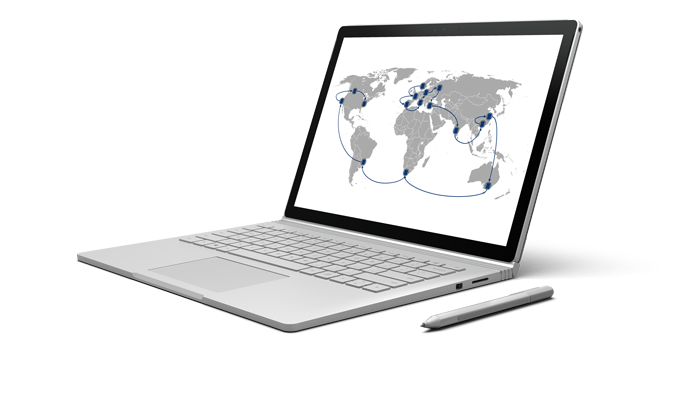 On the other hand, a vast majority of predefined accounts can be used easily in all countries where a standard ERP Microsoft Dynamics NAV is to be implemented for subsidiaries within the group. This fulfills both the perquisite of standardization of global accounting setup and local legal requirements. 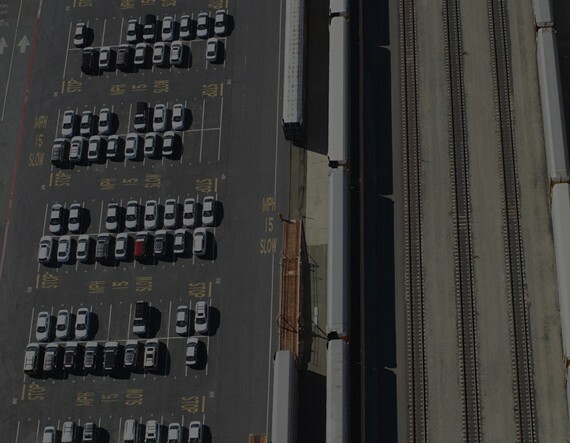 Logistics, Intrastat – Due to our experience from previous international projects, we can offer predefined settings that do not require any modifications and are provided to our customers within the software package. They include code lists (based on ISO) that define various parameters such as delivery methods. As such codes are offered within the Global Template (System Core), it is no need to analyze delivery methods used by the customer. However, these methods have to be ISO complaint. Otherwise, Intrastat will not be implemented properly within Microsoft Dynamics NAV. Master data e.g. 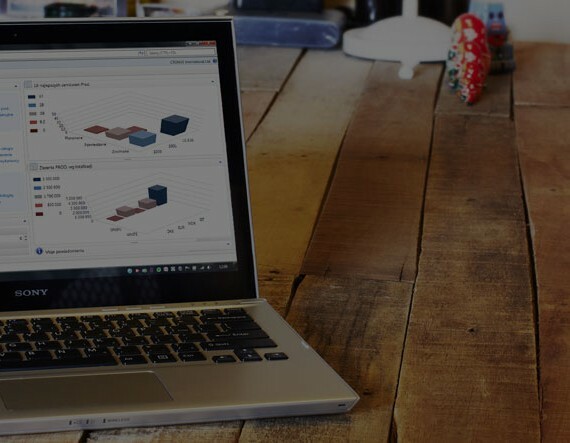 logistic data, items, customers, vendors – the scope of data can be increased when standardized global ERP system is implemented in subsidiaries. Standard system roles (security) – IT.integro has developed a set of system roles that incorporate predefined access settings. For example, for the production department, we have defined 4 roles: worker, foreman, planner and manager and customizable permissions in such areas as product design, planning and production cost management. For each role, the user can assign a permission level in a standardized Excel file. The file is used as a reference when defining system permissions. 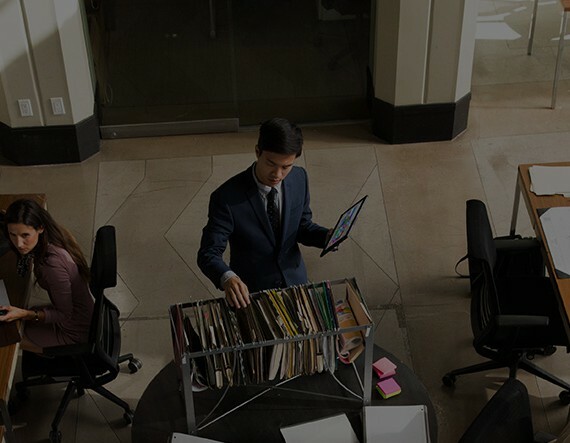 This facilitates the time-consuming process of assigning permissions to users and reduces it to filling in a dedicated Excel worksheet. Thus, users can be assigned simply to predefined roles within the worksheet. Number series means the method for numbering documents in the system. 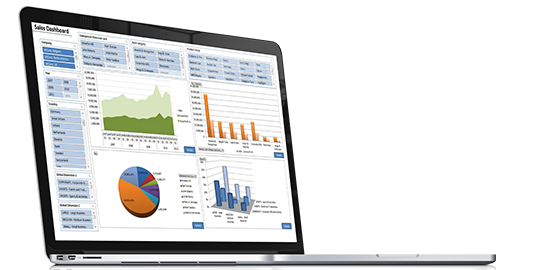 The process is a very time-consuming task during the implementation of each ERP system. 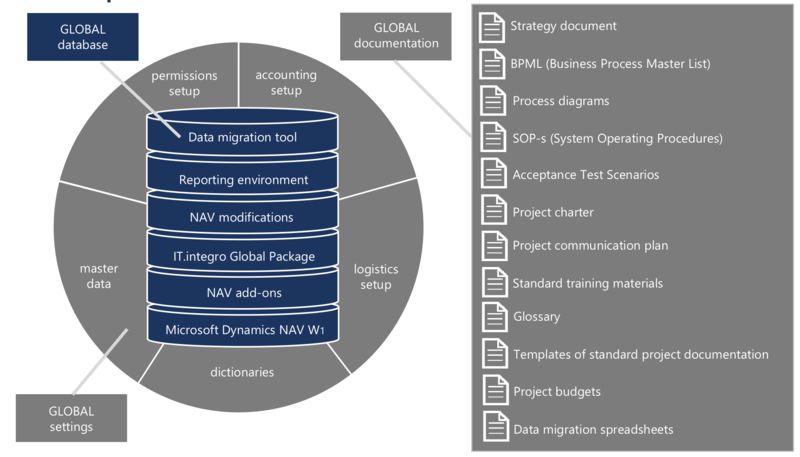 The number series setup is defined in the global database template and it can be inherited for Microsoft Dynamics NAV global roll-out. Due to its international project experience, IT.integro can offer its clients a set of standardized setup definitions even before the Global Template (System Core) is developed for a specific company. Because such definitions have been developed by IT.integro in compliance with international standards, they can be implemented in companies of different types with various specific requirements. Beside the setup template, each company for which we develop the Global Template (Core System) receives a package of complete, standard documentation. Obviously, specific documentation is prepared within the project for a customer in response to its needs. However, the standard, predesigned content comprises more than a half of all documents used within a project. Strategy Document – It defines the method for the implementation of the global solution based on the ERP Microsoft Dynamics NAV and all required details of crucial importance to the project. 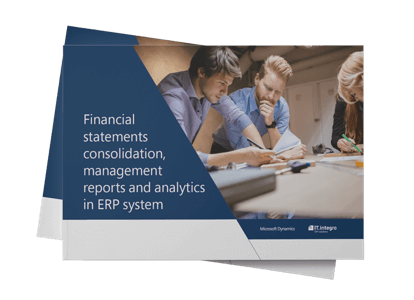 The document defines, among others, global subsidiaries where the ERP system is to be rolled out, data transfer methods, multi-language assumptions, collations used for SQL (and resulting consequences) as well as existing Microsoft Dynamics NAV version. Moreover, the Strategy Document defines company reporting methods. BPML – A list of processes, an index providing a reference to all other documents. Standard templates of project documents such as Fit-Gap, concept, etc. List of standard training courses recommended to users. Templates for data migration in MS Excel files that users fill in when data is migrated from the previous system version. Such templates are applied only if Microsoft Dynamics NAV is rolled out to a subsidiary where a different ERP system is implemented. If the subsidiary has been using any an earlier Navision version, a conversion tool is required instead of templates (i.e. upgrade toolkit). When the Global Template (System Core) is developed, the project is proceeded to the stage of a global deployment of the group ERP system in subsidiaries, i.e. global roll-out. The detailed procedure on how to manage the project starting from the Global Template (System Core) to a completed implementation stage is specified within our NAV Global Standardization and Roll-out Methodology. Local functionality as a local add-on of a global solution delivered as part of Global Template (Core).